If you're in a new relationship, this Valentine's Day will be pretty exciting. Good for you. For the rest of you, this $19 billion holiday is either an expensive load of red, lacy hype or an excuse to wear a dirty bathrobe and eat Ben & Jerry's all night while watching Titanic and mourning The One Who Got Away. This year, we’re taking the side of the broken-hearted and taking a breather from worshipping at the candy-coated, Pinterest-hyped altar of Valentine's Day. If you fall into this category this time around, know that you're not alone. In fact, in many parts of the country, you have a ton of company. 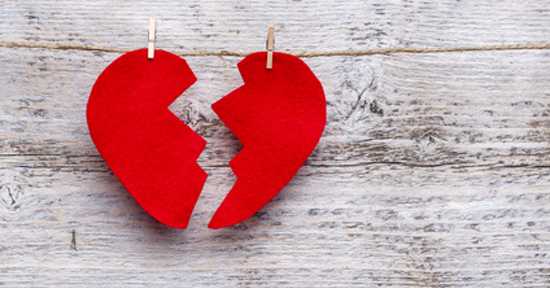 Behold our list of the most heartbroken cities. Measuring heartbreak is hard. After all, there's no U.S. Census data on dirty bathrobes or what your ex could possibly see in that other person. So we went with a few other measures. First, nothing says heartbreak like a broken marriage, so we took a look at how long marriages typically last in every state. The national average is 19.4 years, and the Beltway has more broken hearts than the states, according to U.S. Census data. The average marriage in Washington, D.C., lasted just 12.4 years. That even beat out Nevada (16.2 years), where you can get chug-a-yard of margaritas and then get married at a drive-thru. Coping with heartbreak often involves hooking up with a "rebound," which, of course, requires meeting new people. So we looked at the number of dating services out there according to the most recent Economic Census data. Behind a high demand for dating services lies a trail of heartbreak, which we found in Los Angeles, New York, and Miami. Third, we couldn't measure how many pints of Ben & Jerry's are eaten in despair, but we could look at how poorly 152 cities ranked on the 2012 Gallup-Healthways Well-Being Index, which evaluated things such as emotional health, physical health, and healthy behavior for 1,000 adults around the country. Turns out the "Happiest Place on Earth" isn't anywhere near Disneyland - it's actually Lincoln, Nebraska, so that area did not make it on our top 10 list. Riverside, California, however, is apparently not even close to being a happy place, and ranks fourth on our list. To round out the results, we considered the reason for many breakups – those who have strayed and the consequences they have left behind. Nothing quite says heartbreak like a venereal disease. Not only is there no surer sign that someone has done you wrong, but it is also a result that will likely you leave you depressed, according to at least one study. We looked at the Centers for Disease Control and Prevention’s 2012 data on gonorrhea, which, on average, you can expect about 121 people out of every 100,000 people to have. 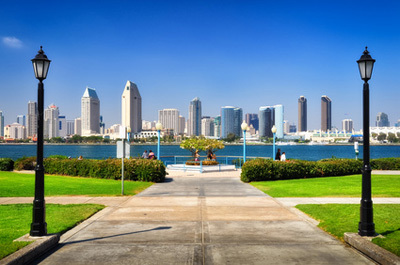 Being last on the list is actually a good thing, because it means that there are nine other cities that are more miserable than you, San Diego. With seven dating services in town, there are clearly plenty of people pining for romance again. And, with one of the highest rankings on the Well-Being Index and one of the lowest number of venereal disease cases per 100,000, we think heartbreak is short-lived here. Did you know? Camp Pendleton, in San Diego, hosts the Heartbreak Ridge Half Marathon every year. Approximately 90% of the course is on off-road trails through the hills of Camp Pendleton Marine Corps base. The presence of Phoenix on this list emphasizes the strange connection between heartbreak and heat. 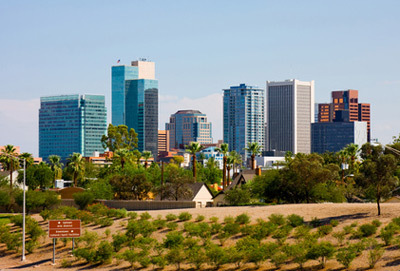 Phoenix is another city that tends to have marriages that blow up quickly. Phoenix definitely has a demand for dating services also, but compared to most of the other cities on our list, it's relatively happy, ranking 44 on the Gallup Well-Being Index. Did you know? The cactus flower is a symbol of maternal love. We were surprised that L.A. wasn't higher on the list; after all, it's the only place in America where getting a divorce could be "a good PR move." 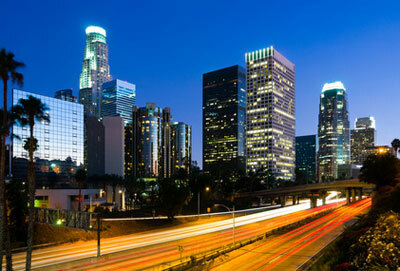 But what helped land the City of Angels on the list is its whopping 33 dating services. Did you know? After 17 seasons of The Bachelor, which is produced in Los Angeles and features a myriad of exotic locations, only two of the couples are still together. 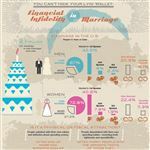 The marriages in Dallas are some of the shortest, which is a big reason it made the list. On top of that, the city is only a little better than middle-of-the road in terms of well-being. 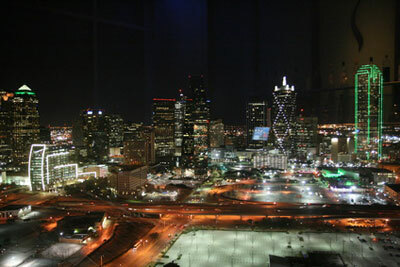 Dallas' 13 dating services suggest that lots of folks here are looking for love, but with 120 cases of gonorrhea per 100,000 people, they may be looking for it in all the wrong places. Did you know? The U.S. Army established Love Field, now a major hub for Southwest Airlines, on October 19, 1917. The facility included some hangars and a grass landing strip. 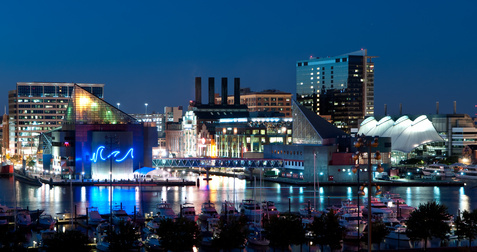 With five dating services and a lot of relatively short marriages, Baltimore lands #6 on our list. This city also lands on the lower half of the well-being rankings, and there appear to be plenty of folks whose exes have given them more than just heartache here. Did you know? Famous writer H.L. Mencken courted Sara Haardt for seven years while in Baltimore, according to the Baltimore Sun. The romance was rocky, partly because Mencken lived with his mother. With an average high of 93F in the summer, Houston is literally a hot mess. Love doesn't last long in this town, after all, and with an infection rate second only to San Antonio, let's say that heartbreak here sometimes leaves a mark. With a middle-of-the-road rank on the well-being index, it makes #5 on our list. Did you know? 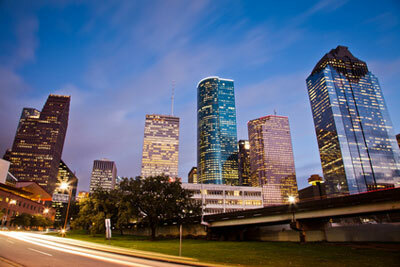 Romance Writers of America, a trade association of over 10,000 romance writers, is headquartered in Houston. If you just looked at the Gallup Well-Being Index, pretty much everyone is miserable in Riverside—the city ranks dead last on that list. Divorces occur relatively quickly, too. One thing Riverside has going for it: the infection rate is one of the lowest in the country. Did you know? One of the most popular movies to end in heartbreak, Gone with the Wind, first previewed at the Fox Theatre in Riverside on September 9, 1939. New York is pretty average in terms of marital breakups, but with 28 dating services, it stands out in terms of the demand for finding a better match. 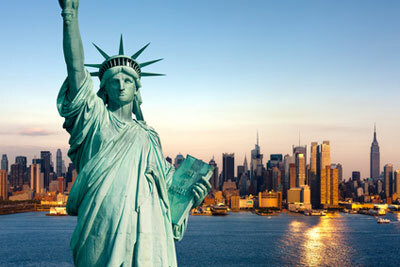 The Big Apple probably needs to eat more apples and less apple pie, too - it ranked only 100 out of 152 in well-being. Did you know? On the evening of February 14, the top of the Empire State Building glows red and pink, to celebrate the lovers below - and inadvertently annoy those who are alone on the big city streets. 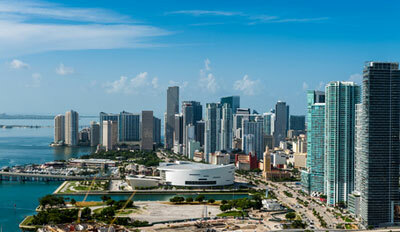 The lesson behind Miami is that sand, sunshine, and beaches don’t always prevent heartbreak. Marriages tend to blow up relatively quickly in the Sunshine State, and Miami is squarely in the bottom quintile of well-being. When it comes to venereal disease, they're a little healthier "down South," and with 26 dating services in town, there are plenty of people looking for love. Some call it the jazz capital of the world; others call it the basketball capital of the world. But Chicago is also the heartbreak capital of the world by our measure. 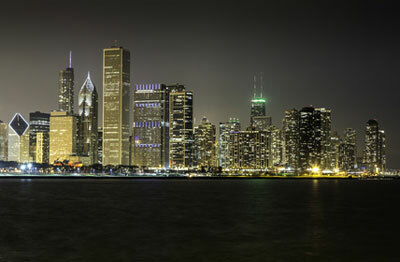 With 16 dating services, there are a lot of people looking for love in the Windy City. But choose your partners carefully as chances are high you could end up with a broken heart or even worse – a case of gonorrhea. You could look at this list two ways. If you’re broken-hearted and believe in “misery loves company,” you may find some kinship in the residents of these metropolitan areas. Or – and this is assuming you’re careful, of course – you could find some single people. After all, most of these cities have a robust dating-service market. Good news for married couples! Statistics show that they'll probably be healthier and live longer than their unmarried friends. Now the bad news: They'll spend some of that extra time arguing over money. Whoever said that misery loves company had better check out this list. Share on Facebook "Study: Cities with Most Heartbreak"